China is one of my favorite places in the world! But, if we're being honest it was quite the adjustment compared to traveling to Europe or anywhere else I had ever been. Pst — We have info about volunteering in China that you might be interested in. No matter where you are traveling, you'll need to remember that it's going to be different ... but that's why you're going right? No use heading to China if the food, language, culture and way of life looks just like yours. This might be a new thing for you, depending on where you live now and where you have traveled before. Public transport is a big deal in China, especially in the big cities. We're talking metros, high speed trains, slow trains, bus systems, you name it. It can feel overwhelming to figure out on your own, which is where apps come in handy. For navigating metros, the app Metroman saves the day. You can download maps for several major Chinese cities which will give you access to your city's metro map. You can also type in the name of different metro stops and the app will show you what transfers to take, how long your ride will be, and how much it will cost. Handy. When it comes to trains, we do everything via CTrip. They have an English website where you can order your train tickets and are sent an email confirmation, so all you need to do is walk up to the train ticket counter, show your email and get your ticket. No Mandarin necessary. A few other tips — if you are going on an overnight train ride, pay extra for the beds and book it well in advance! If not, you might end up like my ILP group who had a 25+ hour train ride and very uncomfortable, hard seats. Funny story now but it wasn't so much in the moment. Luckily, since you'll be with ILP, you'll have a handful of resources to help you out, like a Local Coordinator, a Head Teacher and ILP alumni for your city who can help you get around. Public transit is nothing to be afraid of, but it's a bit of an adjustment, especially if you're used to getting everywhere by car. Have you ever heard of a squatter toilet? 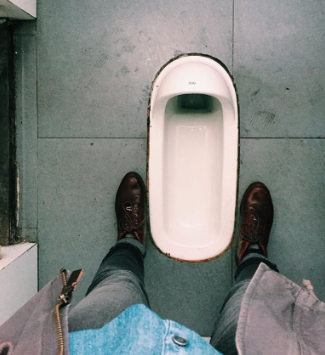 I remember getting to our Chinese apartment with my ILP group on the first night and walking into our bathroom to see a hole in the floor...that's a typical toilet in China. It may seem weird at first, but you'll get used to it and honestly you may grow to like it (I know I did). Occasionally you will find a western toilet (what we have in the US) but often you will find squatters. It's just something to know beforehand so you're not thrown off balance by it when you're traveling around China. One thing that can be difficult in China is the language barrier. Unless you are in a big city not many people speak English. This can make it a little hard especially because signs will be in Chinese characters which adds another challenge. Just know you may get lost when trying to get around and give yourself extra time to get lost! Bigger cities will usually have English translations and a lot more people who do speak English (when in doubt, find a college-aged Chinese students — in most situations, they will speak English). You can also head into a hotel or a hostel; most people in the tourism industry will speak English. The vast majority of our ILP volunteers do not speak a single word of Mandarin and get along just fine. Technology makes it really easy to get around in most situations. Google Translate has an amazing app where you can speak in English and have it talk back to you in Chinese. So handy. Pleco is another app that is nice when it comes to getting around the language barrier. Little things like having addresses written down in Chinese characters, maps, or translating apps are super helpful! 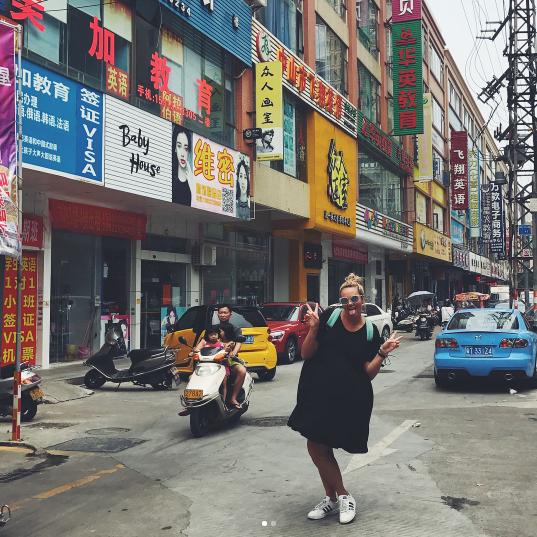 We have more helpful tips for traveling in China when you don't speak Mandarin right here. I had no idea how friendly the people would be in China. I knew I was headed to a country with a huge amount of history, a place where they eat everything with chopsticks ... and that was about it. I didn't expect to realize how kind the locals were. I found so many people willing to help me and my group when we needed it. I was surprised to find out how many people were willing to sit next to you on the metro and practice their English with you (I came home with so many local friends this way!) You willl miss the people greatly when you are home — I know I did. Learn to bargain ASAP and shop your little heart out. Bargaining is huge in China and can get you some super great deals (which I love). On the downside, you can easily be ripped off. Because vendors know some people bargain down the prices, they heavily inflate the price of their item ... and some people pay full price! Don't be that person. Here are some tips on how to bargain better so you can be prepared for The Pearl Market or any other market you find. Just so you know, you can't bargain everywhere. If you are in a nice shop, a mall, a grocery store — you will be paying the sticker price. But if you're at a local night market, any of the underground malls in Shanghai, Beijing, etc use your bargaining skills to get the best price. The food in China is not like Panda Express, which came to a shock for me. Turns out, there are very very very few similarities, but I end up finding lots of Chinese food I miss now that I''m home. ILP volunteers have their meals covered as a part of their program fee, and for most of the volunteers, that means eating at the school cafeteria. Expect a lot of rice, vegetables and chicken. I found I liked it a lot more when I brought my own seasonings (like soy sauce, ranch packets, hot sauce, etc). Don't get me wrong, it was still good and I found stuff I liked but it will be an adjustment. Knowing how to adjust to another culture's food may help you out. Another thing different in China is eating habits. Don't be surprised if you go to a restaurant and the person sitting next to you is loudly slurping noodles from their bowl or spitting out their chicken bones onto the table. It's totally normal there. 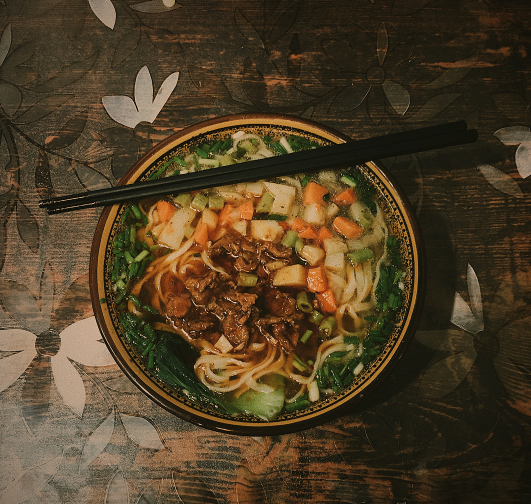 Here's a guide to China's dining habits to help you adjust. China is home to a huuuuge population of people which means you are going to find some crowds, especially on national holidays and in big capital cities. These crowds can be pretty overwhelming, especially if you are trying to wait in line somewhere. Part of the culture is that people don't always wait their turn and often cut ahead to the front, so be assertive because they're going to be. Our advice? Just embrace all of the crowds. If you expect neat orderly lines, you are going to be frustrated when you're waiting in line ... but if you expect people to be a bit pushy and to have swarms of people around you, you'll be less frazzled. You really feel like you are famous in China! The natives want pictures with you ALL THE TIME because you're a foreigner. It's not uncommon to have a line of people waiting to get a picture with you and of course they're going to show it off to all their friends. This is so funny and totally weird at first. It brings tons of awesome and bizarre stories — we think you'll love coming home and telling friends and family about the paparazzi in China. With this also comes some downsides, like people constantly stopping you or staring at you. We even had people come up to us and try to touch our hair. Seems weird but you will get used to it. 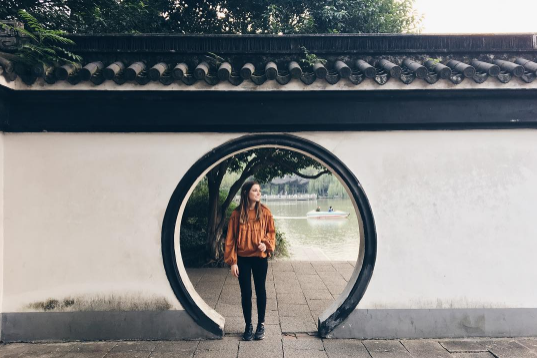 Considering volunteering in China with ILP? 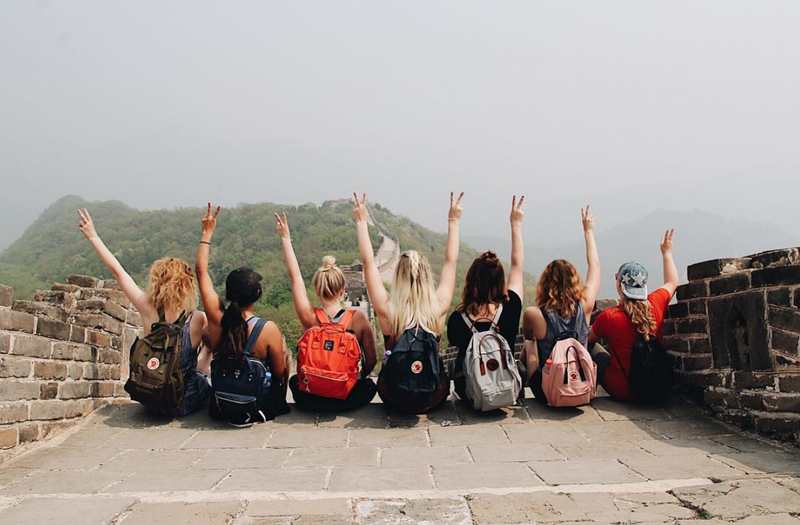 Click the button below to learn more about what a semester abroad is like and how it can change your life!